Believe it or not, it’s Christmas time again! That means it’s time to start planning your Christmas baking. There are so many Christmassy recipes out there that you may be having trouble trying to decide what to bake. Well, let me help with your decision by recommending that you add these spiced white chocolate chip pecan cookies to your baking list! 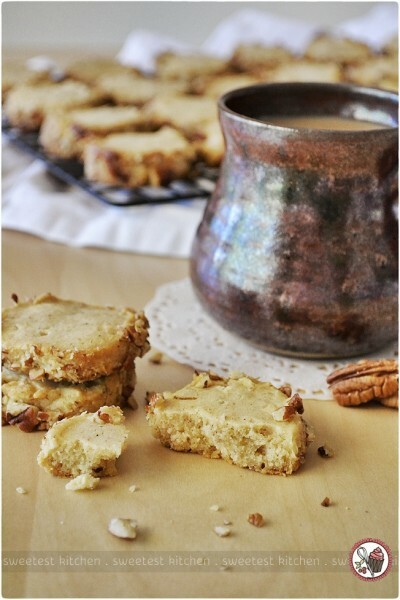 These unsuspecting-looking shortbread-like cookies have the warm flavors of cinnamon and nutmeg with chunks of pecans and white chocolate. They smell delicious baking in the oven, and taste even more delicious with a hot cup of coffee or tea. Is there something special that you, or your family, bake each year at Christmas? If not, let these spiced cookies be the start of a new Christmas tradition! To me, Christmas baking means grandma’s delicious pies. She would make the same pies at Thanksgiving and Christmas – sugar pie (that’s what she called it, but I think it was pecan pie), oatmeal pie and pumpkin pie. She’d also throw in a fruit cake as well, of course. Grandma doesn’t make these pies anymore though, as they’re just too much work for her these days, but they’re the first thing I think of when Christmastime comes around. My family and I (my husband, kids and I, I mean) don’t have any Christmas traditions at all, but I aim on starting some this year. I think I’ll make a nice lunch for when nana comes over, and we’ll bake and decorate gingerbread men with the kids. Although, I’m not sure yet how I’ll distract the kids from their new toys long enough to make gingerbread men!? Anyway, the recipe for these lovely little cookies comes from a Philadelphia Cream Cheese + Cadbury Chocolate recipe book. 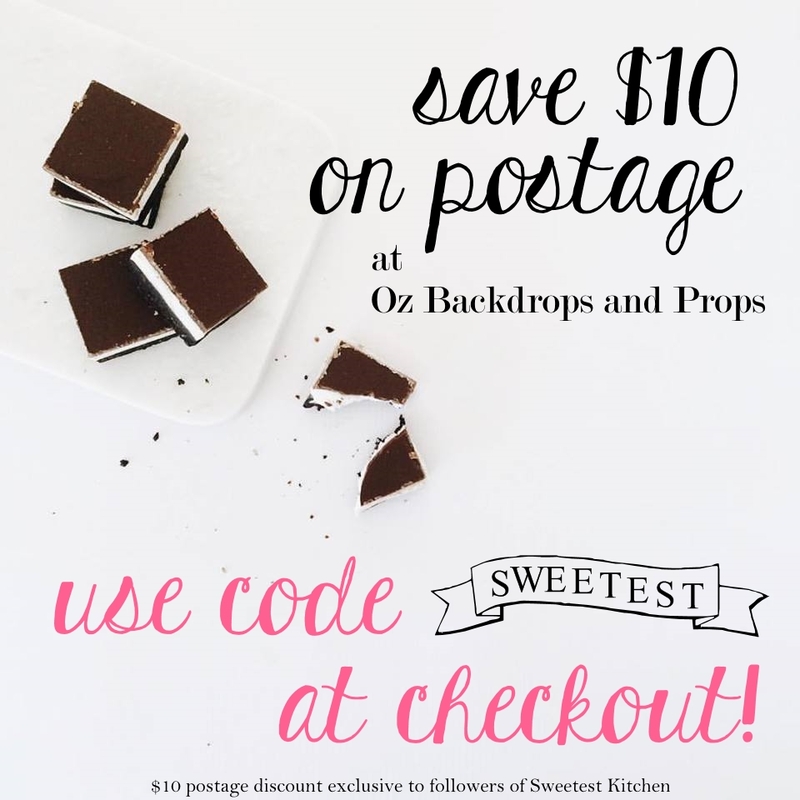 Here in Australia, they were offering this cookbook for free if you bought 3 Philly products, but I can’t find anywhere to actually buy it without buying the Philly products. And yes, there is cream cheese in these cookies! If you don’t like cream cheese, don’t fret, as you can’t taste any cream cheese. In fact, I’m not even sure what purpose the cream cheese serves in this recipe, as I can’t taste it, and I can’t work out if it’s affected the texture of the cookies, which is a sort of melt-in-your-mouth shortbread texture. Whatever purpose it is, these cookies are really delicious and I highly recommend baking a batch! 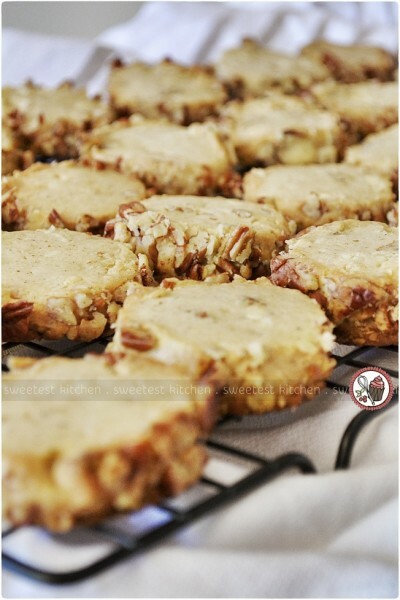 Melt-in-your-mouth cookies with warming spices, white chocolate and pecans. Beat butter, cream cheese, sugar and vanilla with an electric mixer until smooth. Sift in flour, spices and salt and stir until combined. Add the ⅓ cup pecans and chocolate and mix well. Lightly knead the mixture until smooth, then divide in half. Shape each piece of dough into a 25-cm log. Wrap each log in plastic wrap and freeze for 15-20 minutes to firm before rolling each log in the extra pecans to coat. Cut the log into 1-cm thick slices and place onto baking paper-lined baking tray. Bake in a preheated oven at 180C for 18-20 minutes or until cooked and lightly golden. Stand for 10 minutes before placing on a wire rack to cool. The texture of these cookies looks amazing! Nothing better than combining white chocolate and pecans. Yummy! And the texture looks really good!